Janelle G. Reinelt and Joseph R. Roach, eds. 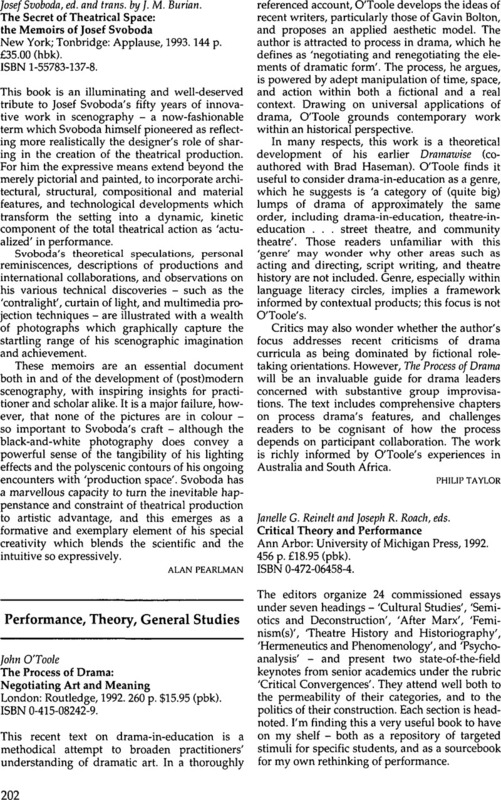 Critical Theory and PerformanceAnn Arbor: University of Michigan Press, 1992. 456 p. £18.95 (pbk). ISBN 0-472-06458-4.